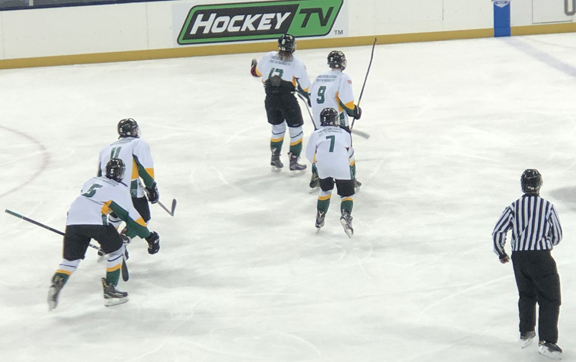 SOUTH BEND, Indiana — The Marquette Junior Wildcats 14-under Bantam AA hockey team opened up pool play with a 4-2 victory over the North Jersey Avalanche at the USA Hockey Tier II Division 3A national tournament at the Compton Family Ice Arena on Thursday afternoon. 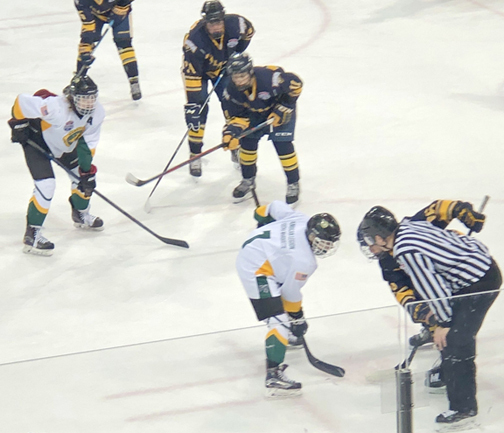 After the teams skated to a deadlock after one, the American Legion Post 44-sponsored team received a second period scoring surge with three goals, the first coming from Owen Riipi on the power play on assists from Drew Dellies and Brayden Grange with 1:52 gone in the second period. 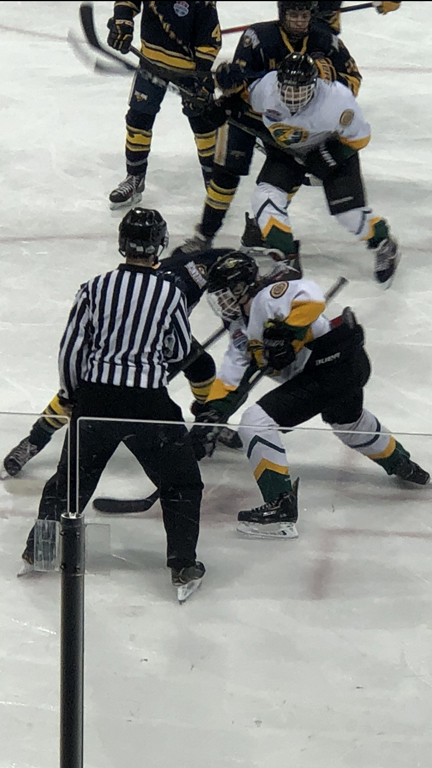 The Avalanche tied things up a little over seven minutes later with a power-play goal of their own from Wyatt Leavy to even the score. Grange and Jackson Potulny struck at even strength just 22 seconds apart later on, giving the Junior Wildcats a 3-1 lead after two periods. Jack Sides added another goal, another assist going to Grange, with 11:28 gone in the third period. North Jersey’s Eduard Dovgan got one back later for North Jersey, but it was too little, too late for the Avalanche. Legion outshot North Jersey 35-20, with Marquette goaltender Liam Beerman stopping 18 shots. Both teams were 1 of 2 on the power play. With the win, Marquette receives three points in the “USA” pool, now tied with the Mount Lebanon Hornets, who also won their first game with a 4-3 victory over Marquette’s opponent today, the Tampa (Florida) Scorpions. Puck drop in today’s contest was set for 12:15 p.m. at The Ice Box Skating Rink in South Bend. Information compiled by Journal Sports Writer Ryan Spitza. Email him at sports@miningjournal.net.